Sunrooms are a great way to add additional living space. 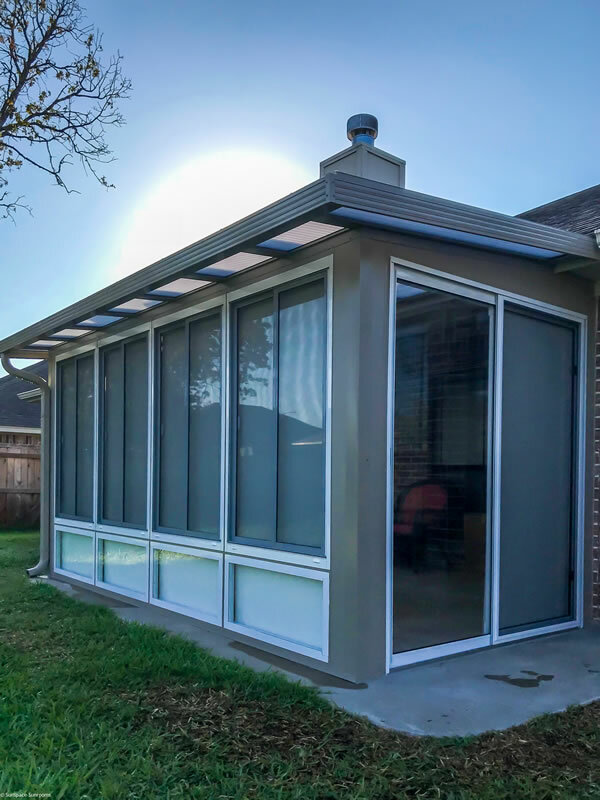 This is our Model 300 sunroom with Hi Impact Acrylic roof system. The Heatstop Pearl acrylic allows 50% light transmission while blocking 75% of the sun’s heat. It also block 100% of the harmful UV rays. Our custom design allows us to have white windows and transoms on our driftwood structure system. We have endless possibilities! !